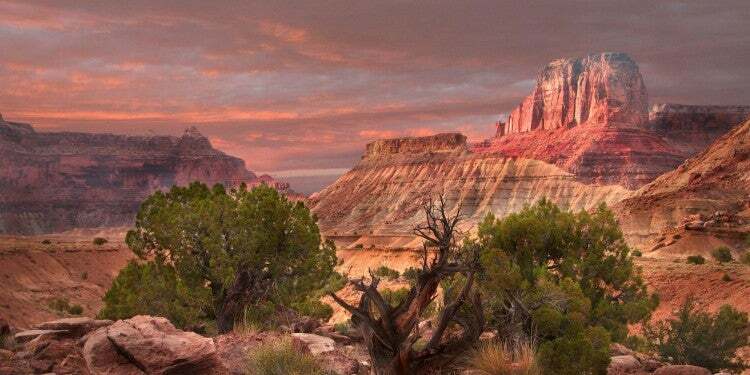 Located in the heart of red rock country, camping Capitol Reef National Park gives access to a hidden treasure filled with cliffs, canyons, domes, and bridges. 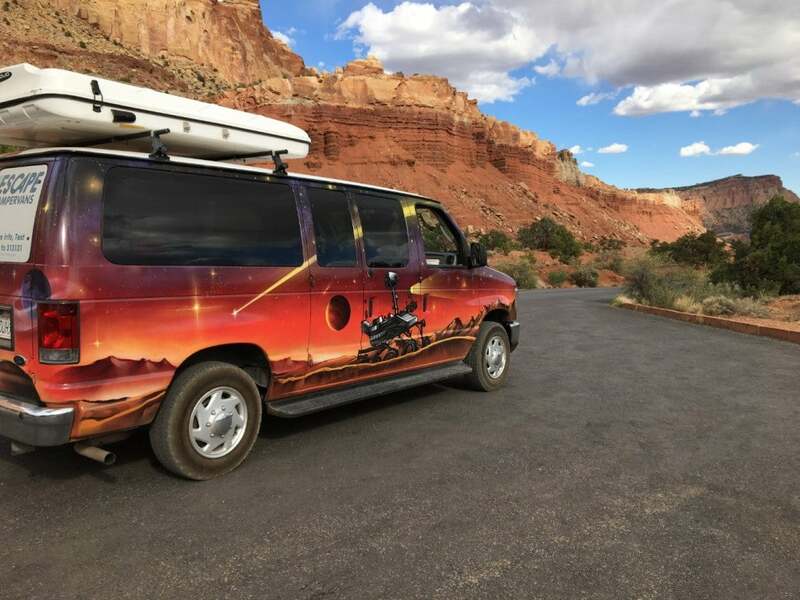 Look no further for some of the best camping in Utah’s Capitol Reef National Park, plus tips to enjoy your stay from The Dyrt Rangers. 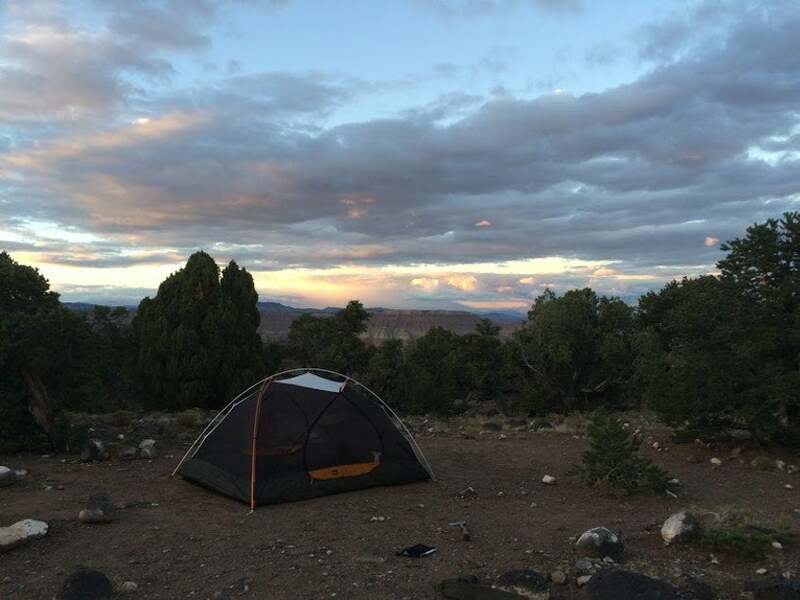 What Makes Capitol Reef National Park Camping Worth the Trip? 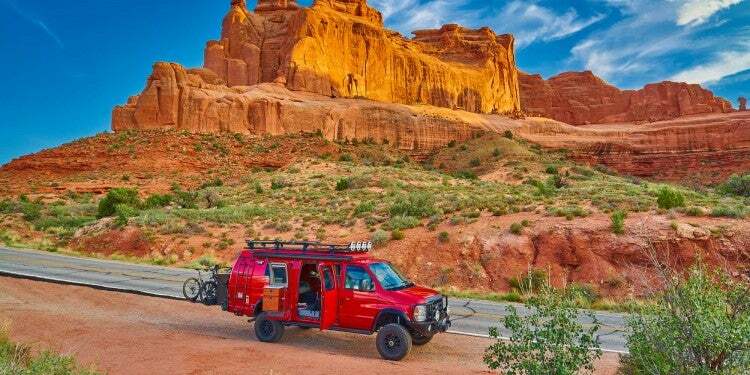 Image from The Dyrt camper Amy B.
Capitol Reef grants access to some of the best desert terrain in Utah. The park’s centerpiece is Waterpocket field, a 100-mile-long monocline (a wrinkle on the earth) that blocked explorers’ westward migration as a reef blocks a ship’s passage. Other than the shady orchards of Fruita (a Mormon settlement dating back to the 1870s), that grow at the park’s heart, camping in Capitol Reef is mostly dispersed. The beautiful red-rock cliff faces surround campers from all directions and encourage hiking, photography, mudding in a 4wd, and more. 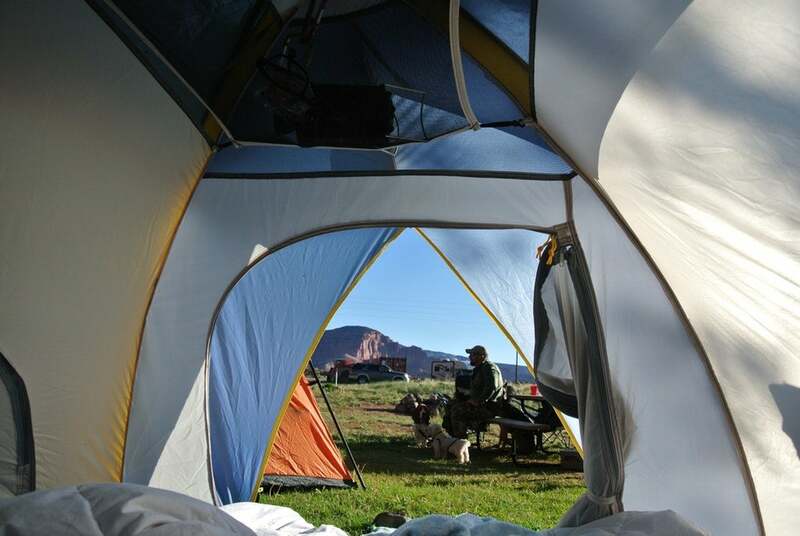 The right campground makes all the difference when it comes to enjoying your stay through the red rock canyons. There’s a host of campgrounds available in this National Park, however we’ve chosen the top 3 campgrounds for your enjoyment. 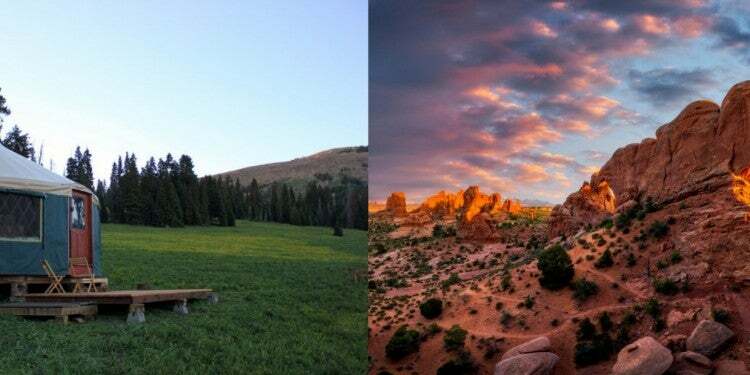 While these three campsites are the most popular, camping in Capitol Reef is a truly unique experience and each of these campgrounds will provide you what you need to have a successful stay. Photo from The Dyrt Camper Will M.
Surrounded by unique historic orchards, the Fruita Campground feels like a desert oasis. This semi-shaded, grassy campsite is located in the Fruita Historic District and is the only developed campground in the park. It is on a first come, first served basis and features restrooms, a utility sink, and drinking fountain. 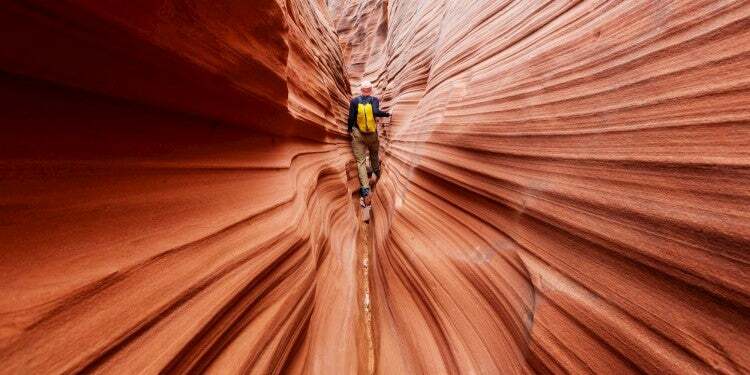 You’ll also find petroglyphs, stunning geography, and everything from easy to strenuous hikes. Photo from The Dyrt Camper Leah W.
Since the only developed campground in the park is non-reservable and can fill up fast, your best bet is to take advantage of the BLM (Bureau of Land Management) camping options. 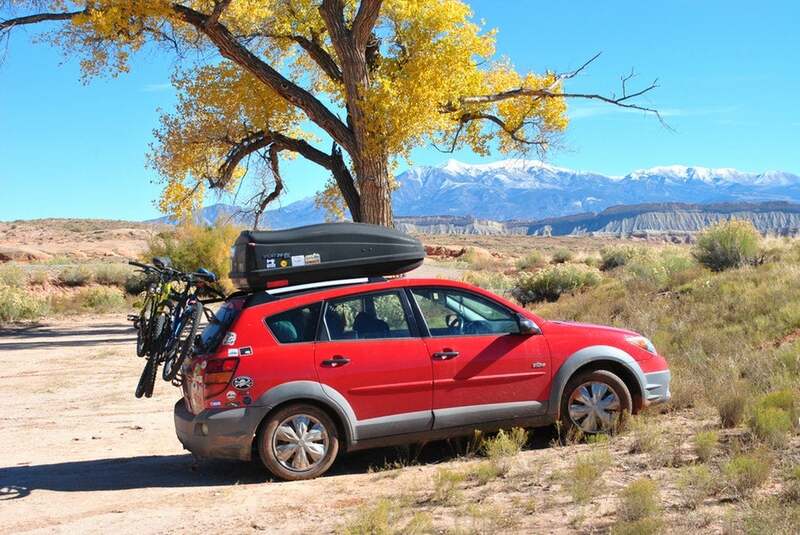 This “campground” is located about a mile outside of the national park and is perfect for accessing everything Capitol Reef has to offer. The benefits of camping in BLM land is that it’s free and that you can set up camp as far away from people as you like! Free camping like this is usually hard to find, but Capitol Reefs BLM camping options are plentiful, just stop by the visitor center and ask. Photo from The Dyrt camper Trevin C.
The Cathedral Valley District of Capitol Reef National Park is open all year and is one of the most secluded places to set up camp. Although it’s a hard drive to get to (4×4 with high clearance is recommended), the exquisite views of sculptured monoliths are worth it. With fire pits and a drop toilet, this campground channels a rustic vibe. 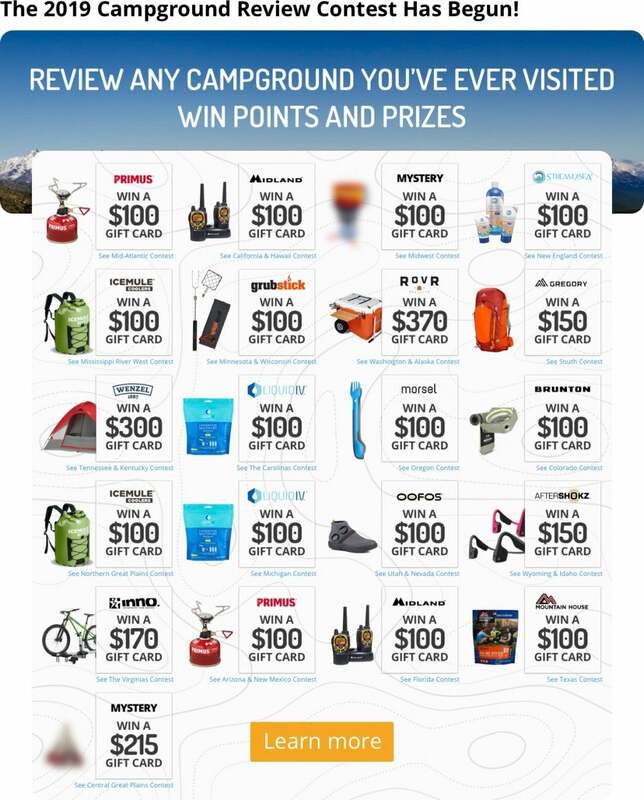 But, is the perfect setup for the avid stargazer and backcountry enthusiast. What is there to do Around Capitol Reef? Hiking the Capitol Reef is well worth the effort and preparation. There are over 15 different trails ranging from as short as .25 miles to over 10 miles in length. 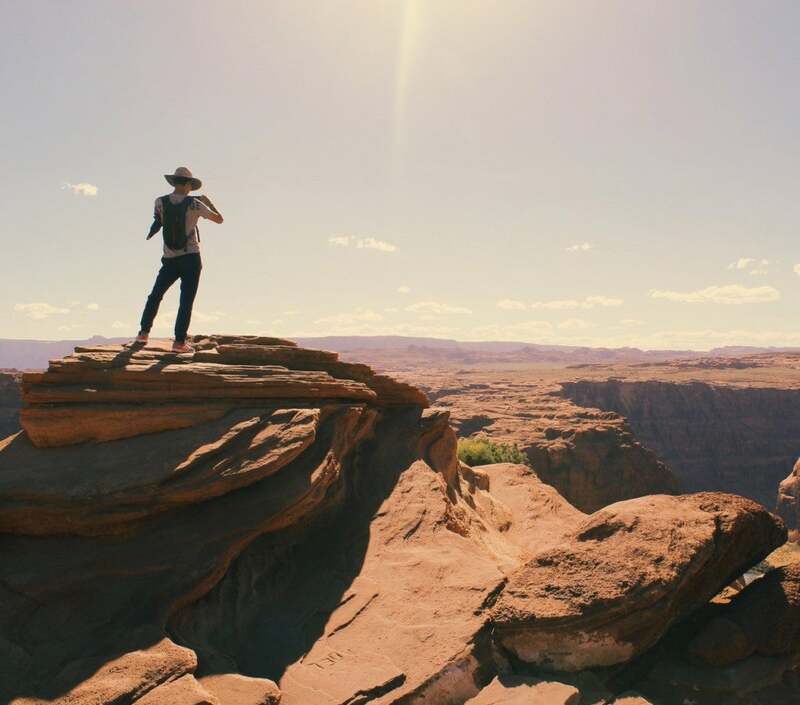 Hikers can enjoy views of Red Rock crevices, vistas overlooking bluffs and desert plain, trails through arches, and more. 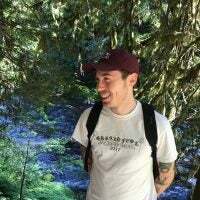 For more information on hiking here, check out the National Park’s Website. Not every road here is suitable for just any vehicle. However, there’s lots of roads suitable for a 4wd around this National Park. 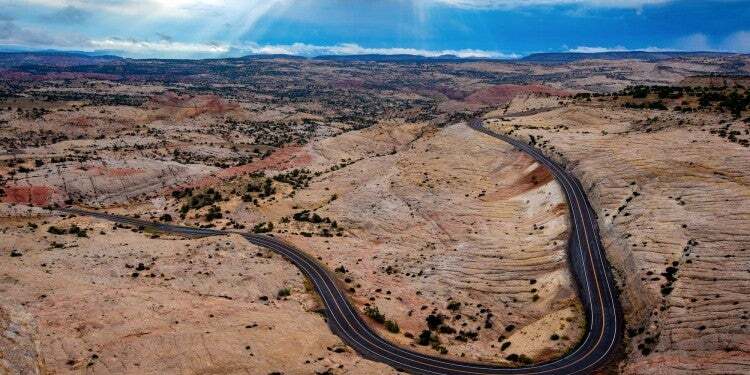 One of the best roads connects from Highway 12 at the end of the Capitol Reef paved scenic road. If you’re planning on traversing these roads, a family SUV is definitely not going to cut it. 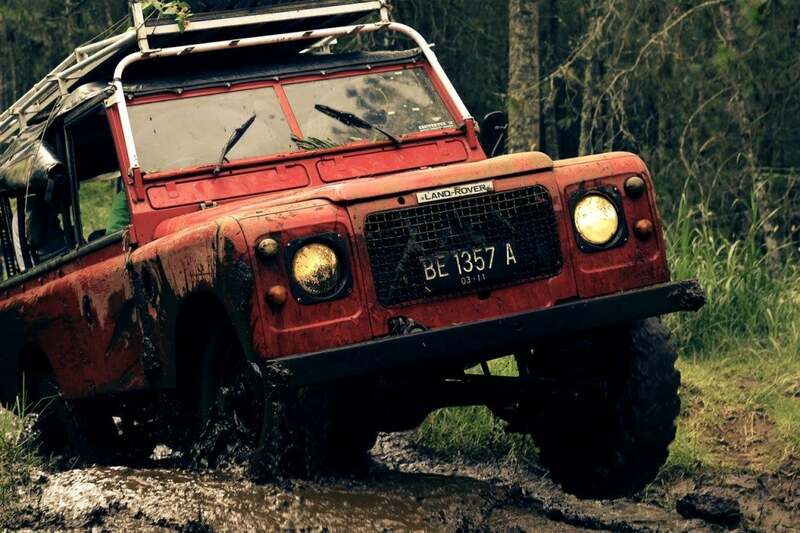 Always follow standard offroading practices when visiting here. Check out the 1000-year-old Fremont Petroglyph panels. 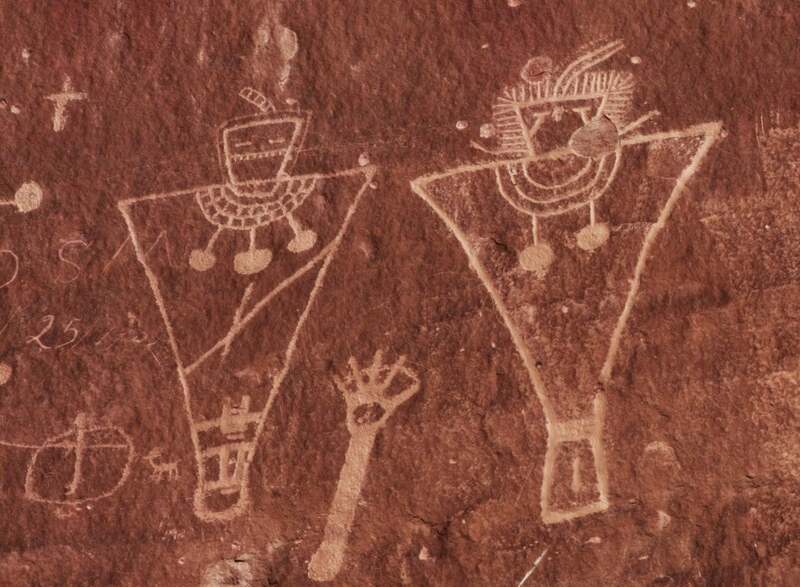 By far one of the most unique and interesting aspects of camping in this national park is the petroglyph panels found scattered throughout various desert caves. In particular, the Freemont petroglyph panels are well trafficked and worth checking out if you’re passing through. Depicting the culture of the Freemont and Pueblo hunters nearly 2,000 years ago, this is a rare glimpse into how our ancestry would have lived in ancient times. 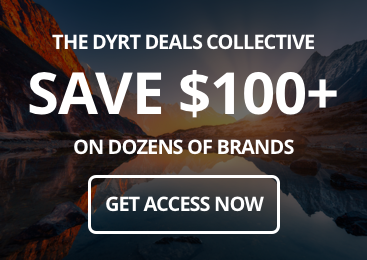 The Dyrt’s Rangers have put together this incredible video to document their firsthand experience in Capitol Reef with the hopes of improving the visit of others. The Dyrt Ranger Tip: Capitol Reef is home to the only NPS-maintained historic fruit orchard. You can purchase and carry out your own seasonal fruit and nuts in bulk, but you can also pick and eat fruit for free in the orchards. And don’t leave without trying the fruit pies homemade inside the park.